Making cheesecake in the Instant Pot isn’t just amazing, it’s SO stinkin’ easy! 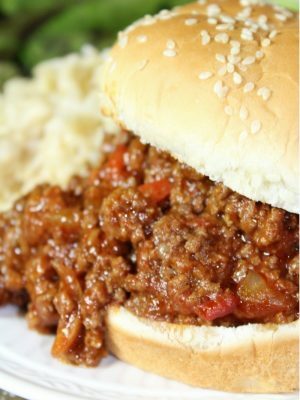 Chances are that you own an Instant Pot or know someone who does ~ and this appliance is incredible for any household. 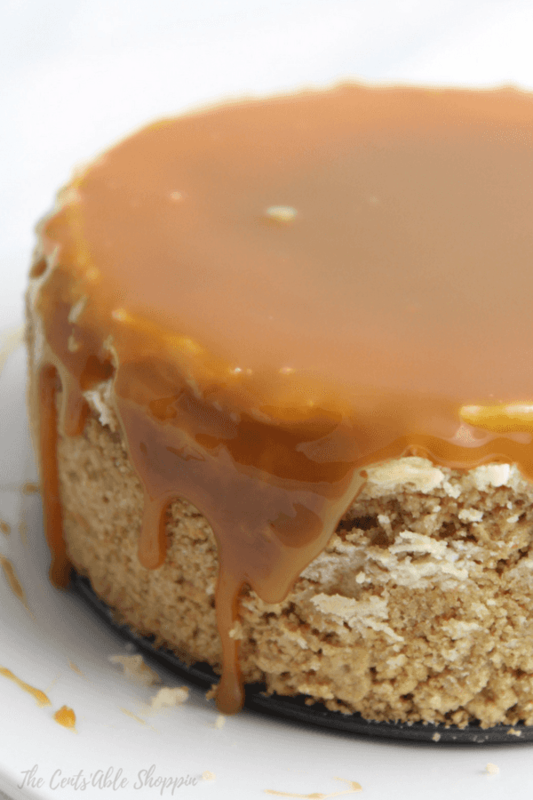 I’m not sure why we haven’t made a Dulce de Leche cheesecake yet but oh my gosh – SO good! 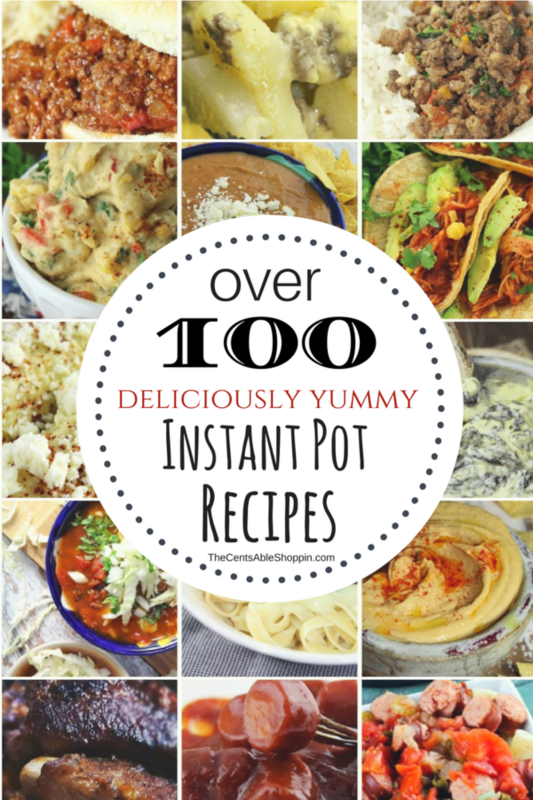 Since we picked up our Instant Pot in 2015, we have used it hundreds of times ~ everything from tamales to yogurt, eggs to rice… even marmalade (actually – Over 100 recipes! Crazy right?!). 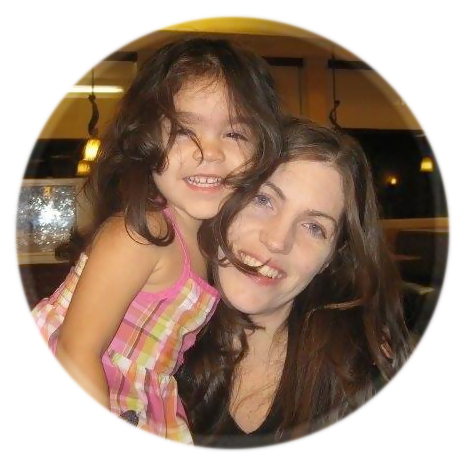 I’m so grateful for having picked up this appliance – have you bought one yet? This Dulce de Leche cheesecake cooks up in 35 minutes once the Instant Pot comes to pressure. You’ll want to make sure you take note of these tips to help make a successful cheesecake that’s gorgeous. I used graham crackers for the crust – but you are welcome to use sandwich wafers, vanilla wafers, Ritz crackers, or even Oreo cookies. I find it easiest to dump them in a large bowl and crush them by pushing glass down and twisting it until you get a really fine crumb. Mix with your melted butter and then push up the sides of the pan – then pop that pan in the freezer until you are ready to fill the cheesecake. Use the proper size springform pan and grease well as it makes removal SO much easier. Then take a large piece of foil and wrap the bottom of the pan to prevent additional moisture from creeping in while cooking. Take another long piece of foil and fold it several times to make a long sling – you’ll want to slide this under the springform pan and tuck in the sides, that way when the cheesecake is done, you have “handles” to pull it out. You don’t want to get to the end and have any mishaps. When you are ready to fill the cheesecake, remove the prepared crust from your freezer and pour in the cheesecake batter. Pour two cups of water in your Instant Pot, then place the trivet within. Lay your sling evenly over the trivet and then place the cheesecake on the trivet and fold the excess sling inwards and seal the pot. Make sure the vent is closed and set the timer for 34 minutes at high pressure. Once the Instant Pot beeps finished, do a quick release – gently lift out using the sling, and let sit on a flat surface to cool. 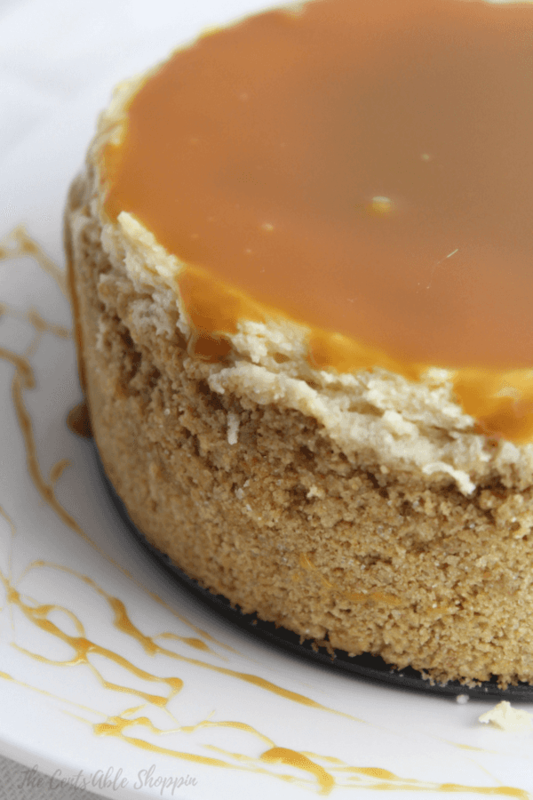 The cheesecake will firm up as it cools – place in the refrigerator for at least 4 hours, then drizzle with dulce de leche just before you are ready to serve. Ready to make an incredible cheesecake?! 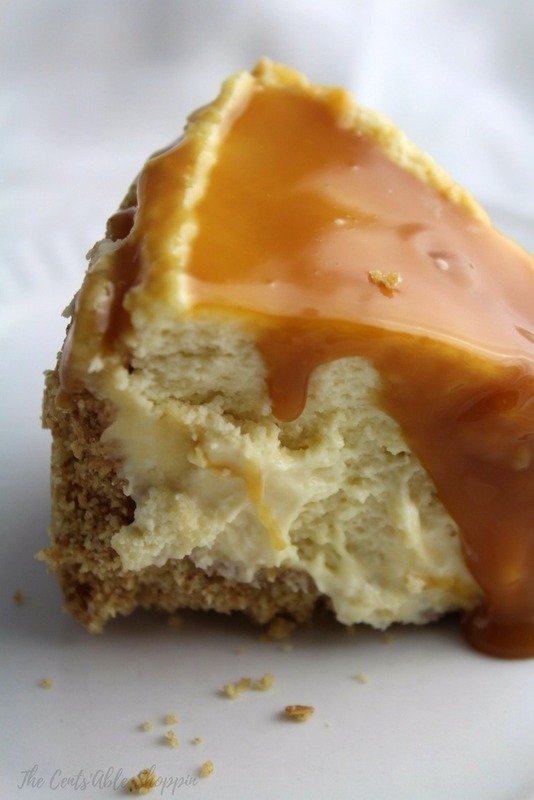 Creamy Instant Pot cheesecake topped with a deliciously rich caramel sauce - oh my gosh, this is SO good! Generously grease your springform pan and wrap the bottom in a large piece of aluminum foil. Set aside. In your Instant Pot, pour 2 C. of water, and place the trivet within. Pull out a long (16-18") piece of foil and fold into thirds to make a long sling. Place the sling in the Instant Pot on the trivet so that each end is evenly spaced. In a medium bowl, crush the graham crackers very fine, and add the butter and sugar. Mix well, then push in the springform pan and up the sides. 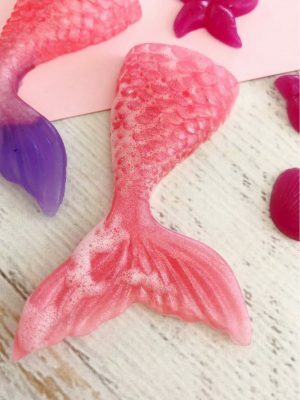 Place in the freezer until the filling is ready to pour. In your mixer, combine the room temperature cream cheese, sugar, vanilla extract, and sour cream and blend just until combined. 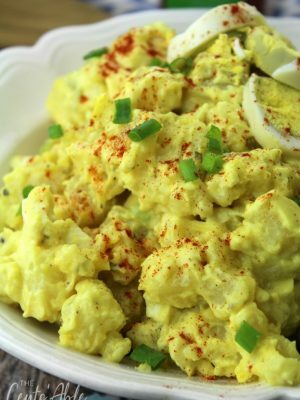 Add your eggs, one at a time, blending well after each addition. 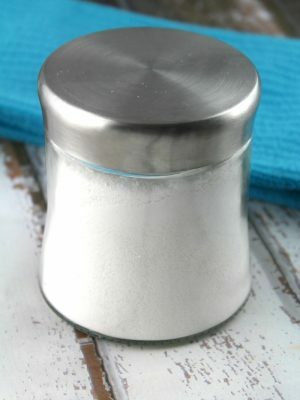 Add in the flour, scrape down the edges and mix just until combined. Do not over mix. Remove the crust from the freezer, and pour the prepared filling in the crust. Place the cheesecake in the Instant Pot on the sling that sits over the trivet. Place the lid on the Instant Pot. Lock the lid, and seal the valve. Set the pot on manual (high pressure) for 34 minutes. Once done, allow the pressure to release naturally for 10 minutes, then do a quick release with any remaining pressure. Gently unfold the sides of the sling that you tucked within, and lift out the cheesecake to place on the counter to cool. 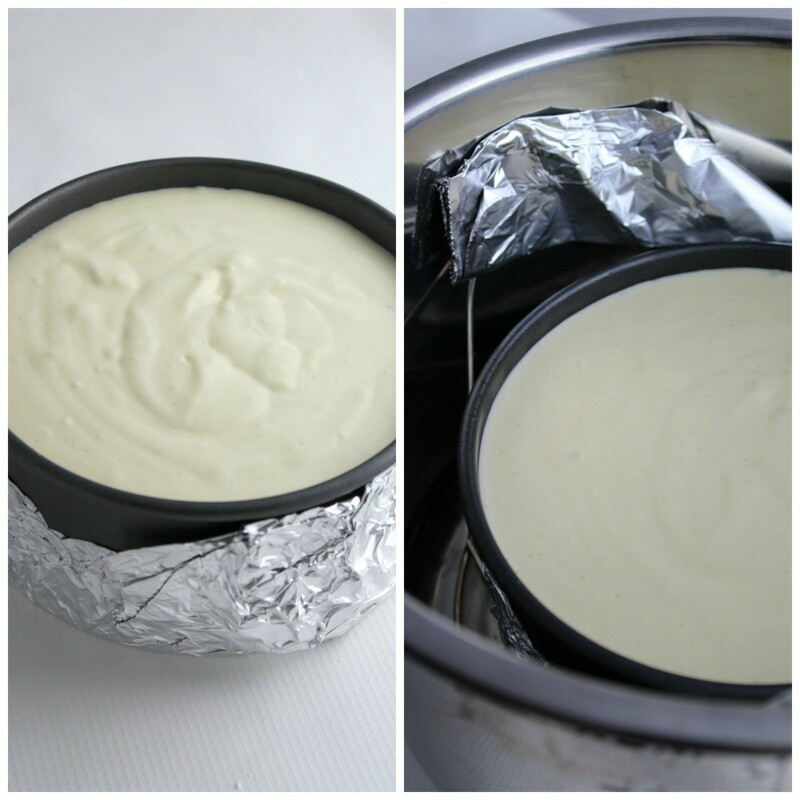 Allow to cool on the countertop for 1 hour, then cover the top of the cheesecake with a piece of foil and move to the refrigerator for at least 4 hours. When ready to serve, gently unlock the springform pan and loosen the sides to remove the cheesecake to a serving platter. Garnish with dulce de leche and enjoy. Cover and refrigerate leftovers; enjoy within 4 days.